Here at Equus shipping to the far reaches of the word is an everyday occurrence. 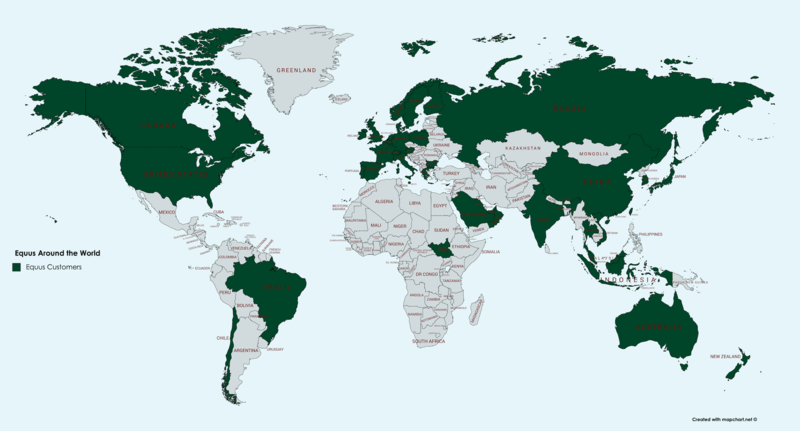 We have customers in around 75 countries and every continent. During the checkout process you'll be able to ship from a variety of shipping methods that'll get your order to you, wherever you are. If you have more complicated requirements, such as shipping your order to you during a worldwide trip, to a hotel or any other logistically challenging situation we're here to help, and we've probably solved whatever problem you have before. Our customers area very international lot and we are well versed in global logistics! As ever we are here to help, if you have any queries please get in touch we'd be delighted to help.